Direct from NYC, magician Tanya Solomon pulls into town for one night of startling effects including live fish appearing from nowhere, blindfolded targeting with a knife, baffling sleight of hand, and things you never knew could be done with creamed corn. In this one-woman magic show, the astonishing and the absurd converge in a delightfully unsettling theatrical experience. You will leave feeling like a carnival has arrived in the night and turned reality upside down. Logic and laws of nature guaranteed violated! Tanya Solomon has been a cast member of Bindlestiff Family Cirkus and Coney Island Sideshows by the Seashore, and produces Force Majeure Vaudeville. 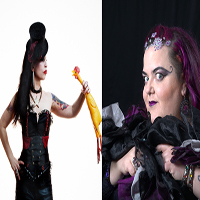 She has been a professional clown, a sideshow artist, and has specialized in magic for the past several years. Phat Man Dee is a vocalist, bandleader, events producer, videographer, poet, retired sideshow marvel, music educator, and social justice agitatrix. 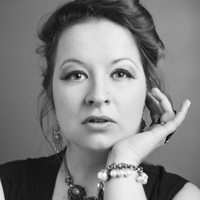 She regularly appears with her jazz group The Cultural District, "The Lemington Gospel Chorale" directed by Pastor Deryck Tines, and "Social Justice Disco" a collaborative musical project with Liz Berlin. She performs live approximately 100 dates a year in nightclubs, theaters, educational facilities, private events and festivals. She was voted #1 Best Local Jazz Act in the 2018 Best of Pittsburgh City Paper Readers Poll! Mandee teaches voice at the We Rock Workshop, and the Afro American Music Institute. She just released her 5th CD Songs to Fight Fascists By! with "Social Justice Disco", a collaborative musical project with Liz Berlin, co founder of Rusted Root. This exciting, socially minded, justice driven musical collaboration features over 60 musicians, dancers, and spoken word artists. Luxury Machine are Pittsburgh based grunge/blues/soul. 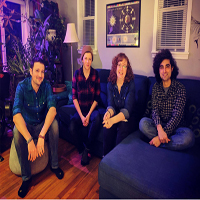 Reconquista is an EXPLOSIVE Americana band from Pittsburgh. 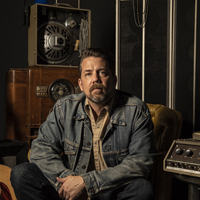 Nashville vocalist/guitarist Patrick Sweany doesnt hold back on his latest studio album, Ancient Noise. The record opens with two tracks (Old Time Ways and Up & Down) that recall the howling vocals and raw guitar work that first put Sweany on the map over a decade ago. However, getting out of his comfort zone meant reimagining a lot of the songs Sweany had penned for Ancient Noise, none more so that the third track Country Loving. With Hodges grand piano front and center, Sweany croons like a young Tom Waits about long-term relationships, the stresses, the simple pleasures, the building of memories. Its the most vulnerable song hes ever recorded - and it heralds a new confidence in taking risks. That confidence pushes through the rest of the record, where Sweany and the band delve deep into Allen Toussaint-style funk on No Way No How, the organ fueled Get Along, and Cry Of Amédé, which touches on the life of Amédé Ardoin, a brilliant, pioneering Creole musician who was brutally beaten in 1934 for accepting a hankerchief from a white woman. Other tracks recall even wider influences: Outcast Blues has a bluesy lurch that recalls The Stones Exile On Main Street; Play Around has an early 60s do wop feel, and album closer Victory Lap ends with a raving coda that would make Bob Seger proud. Ancient Noise is Patrick Sweanys eigth full-length album, and it finds Sweany in top form, willing to push himself stylistically to great effect. The record comes out on Nine Mile Records on May 11, 2018. 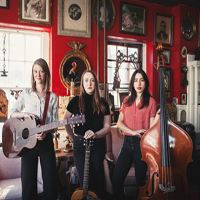 Their self-titled debut album is a breath of fresh air with its own unique blend of gospel- tinged R&B vocals, roots/blues-based guitar work and soul-inspired songwriting. And Southern Avenues upcoming release on the fabled Stax label is a testament to the young combos talent and vision. Southern Avenue encompasses Memphis-born, church-bred sisters Tierinii and Tikyra Jackson, respectively a soulful, charismatic singer and a subtle, powerful drummer; guitarist Ori Naftaly, an Israeli-born blues disciple who first came to America as an acclaimed solo artist; versatile jazz-inspired bassist Daniel McKee; and the bands newest addition, keyboardist Jeremy Powell, an early alumnus of Staxs legendary music academy. The seeds for Southern Avenues birth were planted when Ori Naftaly, whod grown up in Israel with a deeply rooted passion for American blues and funk, came to Memphis in 2013 to compete in the prestigious International Blues Challenge. That experience led to Naftaly moving permanently to Memphis and successfully touring the United States with his own band. Although his talents were embraced by American audiences, Naftaly felt constrained in his own band, feeling the need to include a more expansive, collaborative musical vision. 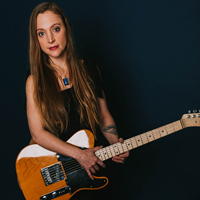 That opportunity arrived when he met Memphis native Tierinii Jackson, whod gotten her start singing in church, before performing in a series of cover bands and theatrical projects. 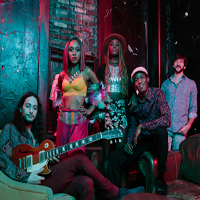 Despite not having a record deal, Southern Avenue quickly found success touring in America and Europe. 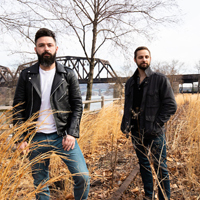 They won additional attention playing some prestigious festivals and competing in the International Blues Challenge, in which they represented Memphis. Less than a year after the bands formation, they were signed to the resurgent Stax label. Tierinii views Southern Avenue as a perfect soundtrack to our first year together. We wrote these songs in our first nine months of being a band. Wed all done so many things and come from so many different places, but the music represents all of us. Released in May 2018, The Days When Peonies Prayed for the Ants acts as the soundtrack to that period of self-discovery. It's an autobiographical album, rooted in a lush mix of indie-folk, orchestral Americana, and organic pop. Starski wrote the songs during a span of a dozen years, tracing her trek from Reynoldsville, Pennsylvania  where she began playing guitar at 19 years old, before cutting her teeth as the singer of a bluesy bar band  to Knoxville, where she kicked off her solo career with pub gigs and open mic performances. The journey then winds its way to Nashville, Starski's adopted hometown since 2008. It was there, alongside producer Anne McCue and a handful of the town's top sideman, that she recorded The Days When Peonies Prayed for the Ants. Raised on a wide spread of music  the Lilith Fair-era earnestness of Tori Amos and Sarah McLachlan; the heartland rock of Tom Petty; the moody, nocturnal music of Portishead; the articulate, lyric-based writing of Aimee Mann  Ellen Starski shows her full range as a writer, vocalist, and storyteller with The Days When Peonies Prayed for the Ants. The album is a team effort, with a number of music-industry heavyweights (including drummer Paul Griffith, bassist Jimmy Sullivan, pianist Carl Byron, strings Deanie Richardson, manager Erin Anderson, and producer/guitarist/mentor McCue) all pulling their weight. Starski is the captain of this ship, though, and Peonies points her toward a genre of her own making. 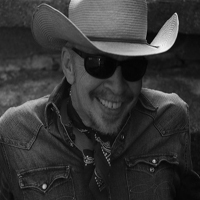 Featuring acoustic interpretations of some of the finest songs in his catalog, along with new, folk-inflected compositions, and notable covers, Dave Alvin found the true measure of his own voice with King of California. 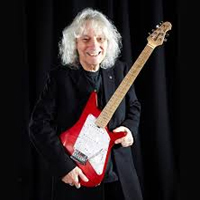 It was ironic that for a guy who was known as a loud guitar player and questionable singer, his best seller was an acoustic album, says Alvin. Included are songs written and originally recorded during the 80s like: Barn Burning from American Music (1980), Bus Station and Leaving from the Blasters Non Fiction (1983), Little Honey, written with Xs John Doe and featured on the Blasters Hard Line (1985), and the Fourth of July, which appeared on both Xs See How We Are (1997) and on Romeos Escape (1987). Every Night About This Time also appeared on the album. Like the records he made as a member of the Blasters, King of California features a variety of covers, including Tom RussellsBlue Wing, Dallas singer-pianist Whistlin Alex Moores West Texas Blues, retitled East Texas Blues, Memphis Slims classic Mother Earth, and What Am I Worth, a George Jones song, featured here as a duet with the incomparable Syd Straw. The album also includes co-writes with Rosie Flores (Goodbye Again) and John Doe (Little Honey).